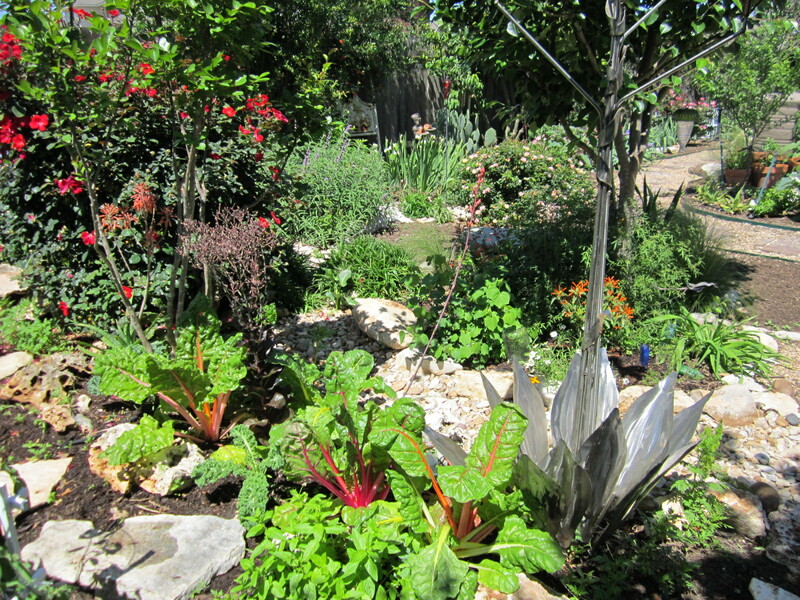 Creating exquisite Xeriscape and edible gardens that are organic, low maintenance and low water. Sustainable Gardening is a term you are going to be hearing more frequently in the garden community and for a very good reason. The basic principle is “sustenance and sustainability” but there are several meanings to the words “sustainable gardening” and they lead you all to the same place. “Sustainable”, environmentally sound, “sustenance”, nourishment grown in a sustainable manner, or “sustain”, which is to keep alive, supply with nutrients and nourishment. These all imply that what you are doing is beneficial and not harmful. Clear to the average person perhaps but this is over simplified, we need to talk more about why this is important. Clearly deforestation is harmful to the planet, when we remove more trees than we can replace, or use copious amounts of water on our lawns when we are running out of water to drink, that is not sustainable in the simplest of terms. What is sustainable in the garden place? Reduction of water hogging sod whose use was originated in the 16th century by wealthy home owners as a sign of opulence. Now it is a sign of waste and times they are a changing…Sustainable gardening is the use of chemicals only when they are absolutely necessary. Most times when chemicals are used by the average homeowner or business they were never necessary in the first place and there is an organic remedy for just about everything. IPM, or Integrated Pest Management is the use of organic methods until they have failed and chemicals are the last-ditch effort. There is also the use of beneficial insects such as Lady Bugs, Preying Mantis and spiders, or toads, lizards and the like. Making intelligent plant choices by using native and adapted, disease resistant plants can make a huge difference in the success of your overall garden by using less water and attracting fewer pests. 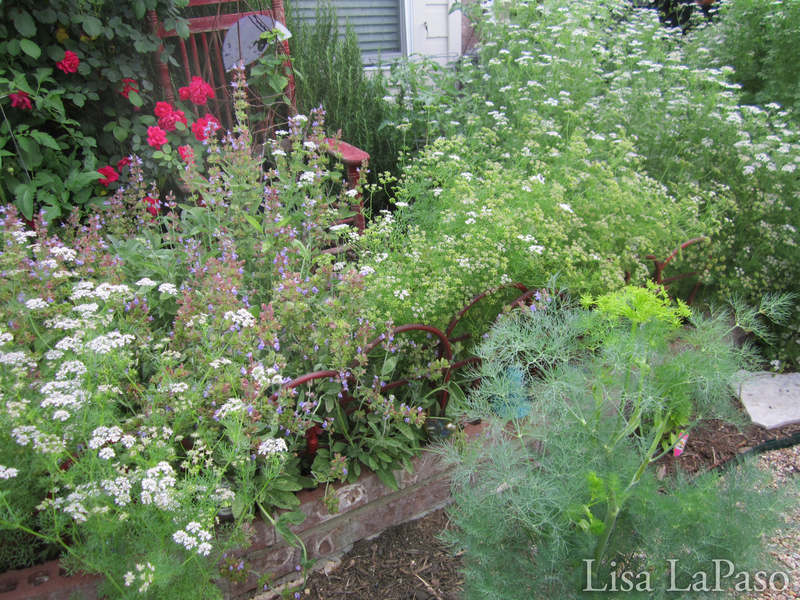 You can also utilize companion planting techniques by using aromatic plants to ward off particular insects from plants that may be more susceptible. Knowing how to work with nature can assist the gardener if we are educated on which plants and insects are on our team. Another excellent way to reduce the damage to the Earth is to compost and there are a number of excellent reasons why composting and using compost in your landscape are not only incredibly beneficial but sustainable as well. These are all forms of sustainable gardening. Make sure that what you use in your space is good for you and for the planet. Do no harm, very simple. Sustainability is another area of sustainable gardening where you organically grow your own food (sustenance),save and collect your own water (rain barrels or water catchment system), and use what you grow. Growing peaches on a tree you do not eat the fruit from, which in turn fall to the ground and attract bugs that you then poison, is not sustainable. Grow what you use, water responsibly, and use chemicals only when necessary. To grow your own sustainable veggie and fruit gardens means that you are planting foods you will eat (which provide sustenance), understand that they will be nibbled by a few bugs and that you have protected the air, soil and ground water in the process. Apply only compost and natural fertilizers and use only native and adapted fruits and veggies. 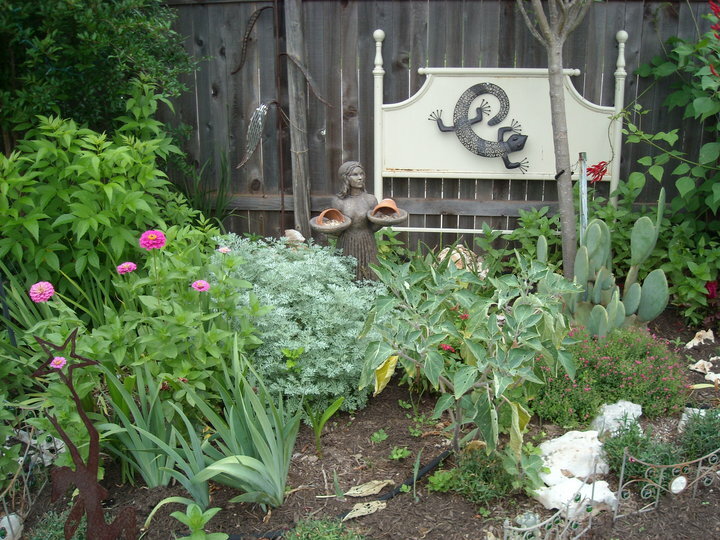 Lastly, we need to re-use, recycle and re-purpose everything we can in the garden space. Recycle your plastic bags, planting pots and planters whenever possible. create clever ways to use old, outdated items in the garden see here, and composting all of your kitchen scraps, lawn clippings and plant cutting will reduce tons of trash from our landfills. ← Austin Hardiness Zones, Precipitation, Environment and Yeah, it’s Really Hot Here!